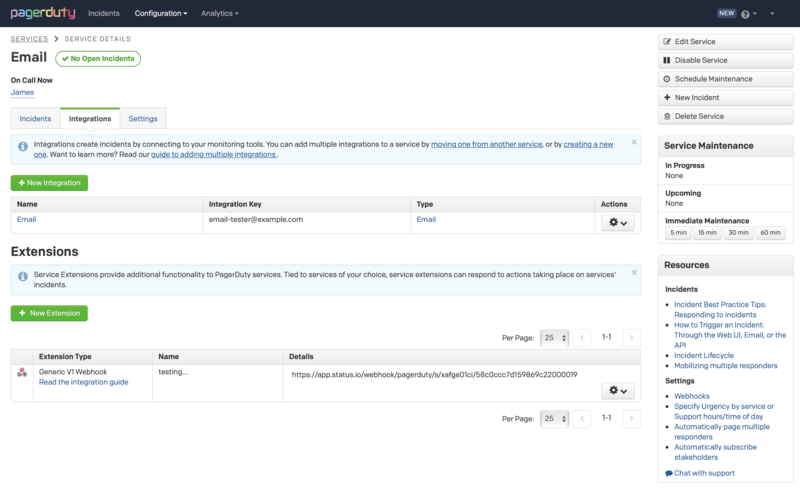 Click Integrations on the service page. Click the New Extension button. Set the extension type to Generic V1 Webhook. Paste the webhook that you copied from Status.io into the Details field. When the PagerDuty service is triggered, the linked component and container(s) are set to Service Disruption. The status is set to Operational when the PagerDuty incident is resolved. 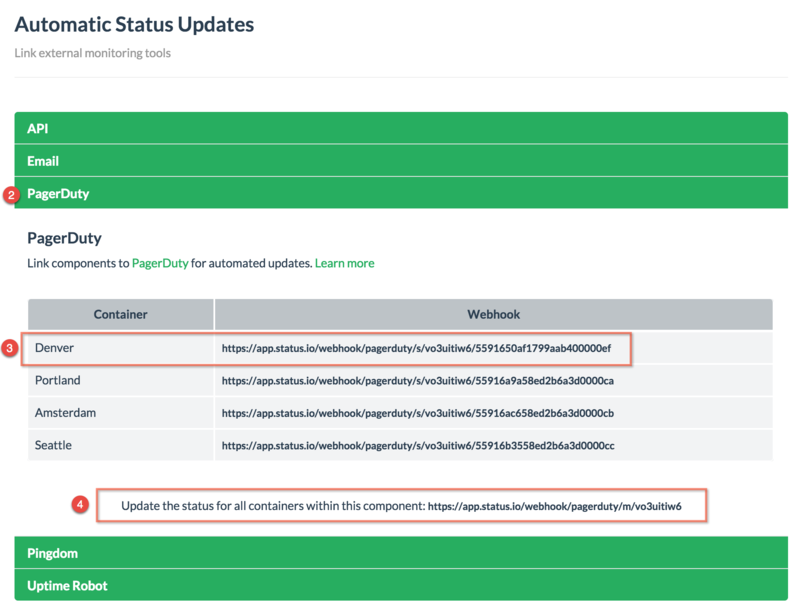 Notifications are not sent for PagerDuty status updates.